Under terms of the treaty, the number of strategic nuclear missile launchers will be reduced by half. A new inspection and verification regime will be established, replacing the mechanism defined by the earlier treaty. Meanwhile, a number of operationally inactive stockpiled nuclear warheads will remain in the high thousands in both the Russian and United States inventories. Removal from service of at least 30 missile silos, 34 bombers and 56 submarines launch tubes, though missiles removed would not be destroyed and bombers could be converted to conventional use. While 4 of 24 launchers on each of the 14 submarines would be removed, none would be retired. 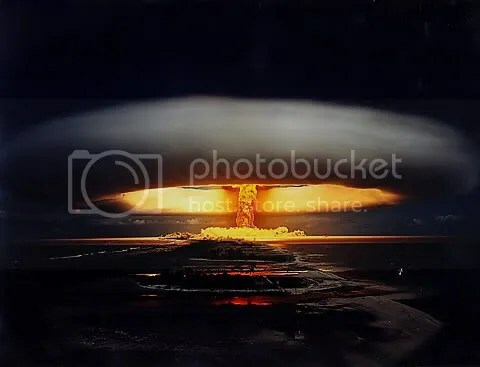 The treaty will limit the number of deployed strategic nuclear warheads to 1,550, which is down nearly two-thirds from the original START treaty, as well as 30% lower than the deployed strategic warhead limit of the 2002 Moscow Treaty. The total number of warheads retained, however, could exceed the 1,500 limit by a few hundred because the treaty assumes that bombers only carry one warhead regardless of their actual carrying capacity. It will also limit the number of deployed and non-deployed inter-continental ballistic missile (ICBM) launchers, submarine-launched ballistic missile (SLBM) launchers, and heavy bombers equipped for nuclear armaments to 800. Also, it will limit the number of deployed ICBMs, deployed SLBMs, and deployed heavy bombers equipped for nuclear armaments to 700. The treaty allows for satellite and remote monitoring, as well as 18 on-site inspections per year to verify limits. On April 8th 2010 Presidents Barack Obama and Dmitry Medvedev (Russia) signed the new treaty; the next step for the United States is for the treaty to be ratified by congress and this is where all the problems started. The House approved the treaty in a short amount of time but then the treaty has been held up by the Senate. The agreement was submitted to the Senate on May 13th and has since then been reviewed and approved by the Senate Foreign Relations Committee. So after having the treaty in front of them for 8 months Republican Senators like Jim DeMint, John McCain and John Kyle NOW want to complain about not having enough time in the Lame Duck Session to ratify the treaty. Kyle went as far to say that it was sacrilege for congress to be forced to work on Christmas Eve. The simple fact is that Republicans are holding up the START Treaty so that President Obama a Democrat would get the credit for negotiating an arms treaty with the Russians. At this point we are dangerously living in the world with less than adequate inspection of dangerous nuclear material, the START treaty addresses this. The president was advised by several military experts that this treaty will not weaken the U.S. missile defense program… Republicans should just stop the BS!!!! If the DeMint’s, McCain’s or Kyle’s of the world do not want to listen to military experts how about five former GOP secretaries of state—Henry Kissinger, George Shultz, James Baker, Lawrence Eagleburger, and Colin Powell… they all say the new START agreement does not block US missile defense. They see no reason why the START Treaty should not be ratified. Perhaps the GOP is holding up the treaty because they are still smarting over the Tax Deal or that the repeal of “Don’t Ask Don’t Tell” was passed… In any case stop the partisan politics! !